Gail Acton is an author, educator, advocate, and entrepreneur with 30 years of business experience. To review her resume, please click here (PDF). To review Gail’s educational report, Home Health Care Solutions in Canada, please click here (PDF). You’ll also find additional health care information on Gail’s Blog. Gail Acton co-founded Creative Career Systems Inc. in 1988 to assist people in finding employment. 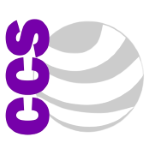 CCS provides support for training and education to give clients the tools to find a career path, and uses the systems in a creative fashion towards achieving this goal. Gail is an educator and author of instructional and student manuals; tests; and exams for care givers and Personal Support Workers. The CCG (Common Curriculum Group) is a vehicle for the delivery of course curriculum standards through schools and CARE agencies. She developed CCS (Community Care Solutions), an agency of community health care workers delivering health and home care for children and elders, with an educated and trained professional staff of Certified Caregivers. Gail also established several non-profit organizations including the National Association of Certified Caregivers/Personal Support Workers, Volunteer Services Network and Creative Community Learning Technologies. Gail Acton is knowledgeable in key issues facing individuals in their 50s, 60s and 70s, including ageing-in-place, housing, and retirement. She has a critical understanding of home care; the nature of home and its effects on care; and the nature of care and how it relates to people living in their own home. She promotes the concept of community living through the Abigail Project in CCS Village, an age-advantaged community that recognizes, engages and supports all ages. CCS strives to make ageing and youth one of our greatest assets in a unique community called CCS Village – with members of all generations working towards an intergenerational community. Gail is experienced in business, social work, career counselling, self-employment, and development of entrepreneurship for communities and individuals. She is a behavioural specialist who has worked with clients in a variety of different social situations. Gail Acton brings over 30 years of experience working in a variety of sectors including business, healthcare, education, government, and advocates for quality standards in front line health care delivery. The future for Certified Caregivers/PSWs- Over three years, the total hourly wage for PSWs will increase by up to $4.00, raising the base wage of publicly funded PSWs to at least $16.50 per hour by April 1, 2016. There are approximately 100,000 PSWs working across Ontario’s health care system. More… … Continue reading "The future for Certified Caregivers/PSWs"
Online learning is the future of education- Over 25 years ago I wanted online courses, believed in the purity of education to advance knowledge, career and personal development. At last we have returned to this with the teaching and hybrid of online courses. For continuous, adult learners the web has provided an… … Continue reading "Online learning is the future of education"
New plan for Ontario government – self-directed care- The latest plan of the Ontario government is to make PSWs employees of the state to deliver home care. We have become a nanny province with the Wynn government getting into the business of providing home care directly, quietly creating a new agency. Five years… … Continue reading "New plan for Ontario government – self-directed care"